Ireland opened their autumn international series with a thumping 54-7 win over Italy at Soldier Field. 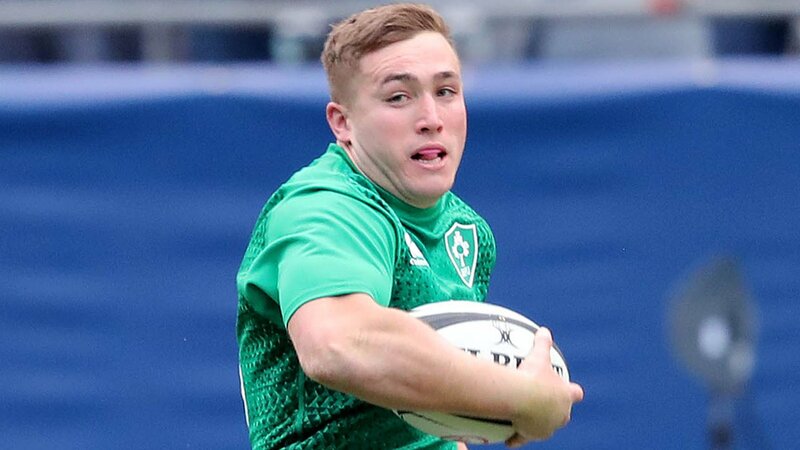 Jordan Larmour scored a hat-trick in an eight-try onslaught by the Six Nations champions, who put 50 points on Italy for the fourth consecutive game. Tadhg Beirne got two tries while Luke McGrath, Sean Cronin and Garry Ringrose also scored for a new-look Irish side. Italy captain Michele Campagnaro scored his side’s only try but had no answer to Ireland’s second-half barrage. The Azzurri only trailed 14-7 at the break and they can take some comfort from their impressive first-half display going into their next match against Georgia on 10 November. Ireland head coach Joe Schmidt will be pleased with the increasing strength in depth of his squad as Larmour and Beirne both made strong impressions on their first Test starts, while there were also debuts for substitutes Will Addison and Ross Byrne.